Administrative tasks may include scheduling appointments, maintaining medical records, billing and coding for insurance purposes, and all forms of patient communication. Clinical tasks may include taking and recording vital signs and medical histories, preparing patients for examination, drawing blood, assisting with procedures, and administering medications as directed by a physician. The certificate in Health Information Technology: Medical Office Support is designed to prepare individuals who already have a strong background in office technology to acquire specialized skills in medical transcription and/or medical billing and coding. Students select one option and learn specialized skills that will be used in a hospital or medical clinic. Earn a degree in pre-health and have the foundation needed to transfer to a university to pursue a career in medicine. The pre-health program is your stepping stone for success in pre-medicine, chiropractic, physical therapy, veterinary medicine, dentistry, optometry or pharmacy. With state-of-the-art health and science facilities and faculty that are passionate about what they do, you can expect an advance program that prepares you for the future. Participate in undergraduate research projects, case-study learning experiences and have access to a unique anatomy program with a cadaver lab. This is an excellent path to continuing pre-med education. Few professions offer a rewarding combination of high tech and high touch like a career in nursing. Careers in this field are more in demand than ever before and are extremely versatile. The program at CWC is designed to optimally prepare graduates for a career as a registered nurse and to practice in the complex and constantly evolving healthcare environment of today. The curriculum has been planned so our ADN graduates can sit for the National Council Licensure Examination for Registered Nurses and enter professional practice while continuing on a streamlined pathway to an optional baccalaureate degree in nursing. Experienced nursing faculty members emphasize hands-on, team-based, active learning with multiple patient care opportunities in a sophisticated simulation laboratory and at our partnering clinical agencies. We maintain a low student-to-faculty ratio, thereby helping to ensure our students receive a personalized education. The Central Wyoming College Associate Degree Nursing Program is fully approved by the Wyoming State Board of Nursing and accredited by the Accreditation Commission for Education in Nursing. The nursing program application deadline is March 1 of each year. Applications are accepted November 1 thru March 1 for fall admission in the current cycle. Applicants must meet the general admission requirements of Central Wyoming College. Admission to the college does not guarantee admission to the nursing program. Application to the nursing program is a separate objective process. Acceptance to the program is competitive and is based on the evaluation of the student’s records. Each year 40 students are selected to enter the program. Students must designate whether they are applying to the program on the main campus in Riverton or at an outreach site in Jackson, Wyoming. The number of admissions is limited to faculty to student ratios and available clinical practice sites. Clinical health record requirements vary among clinical agencies and students are expected to abide by the rules and regulations of the respective agency. Students admitted to the program must provide official documentation of each of the requirements listed below prior to clinical placement. All requirements must remain in effect throughout enrollment in the program. A detailed checklist will be provided upon acceptance to the program. The CWC nursing program is a 66-credit program of study leading to an Associate Degree in Nursing. All courses required for the degree must be completed with a grade of C or higher. The on-campus nursing classroom is a state-of-the-art teaching space that is equipped and engineered for distance delivery by means of video conferencing technology allowing real-time interaction with students and faculty at an outreach center in Jackson, Wyoming. All nursing courses have an online classroom to handle announcements, topic outlines, discussion boards, and other communication from the faculty. Student response systems allow for enhanced student participation during class and provide instructors with instant feedback related to student understanding of content. The simulation and skills laboratories present a sophisticated and innovative learning environment in which students synthesize didactic and clinical knowledge as they transition into professional practice. The simulation lab is occupied by life-size mannequins, from infant through adult, that simulate symptoms, diseases, and conditions that nurses are likely to see in a real patient care setting. The labs are fully furnished with supplies and equipment to create a more realistic hospital environment. High-fidelity clinical simulations are integrated throughout the curriculum and used in conjunction with a variety of direct patient care experiences. Simulated learning experiences provide realistic and challenging scenarios to assist students in developing clinical judgment and decision-making skills. These scenarios allow students to respond to patient situations and learn correct interventions in a controlled environment, thereby decreasing risks inherent in practicing skills on live patients. A debriefing area allows for discussions and reflective learning following a simulated learning experience. Classroom instructors also teach in direct patient care clinical areas in local communities, which bridges classroom content with practical application in the clinical setting. Clinical rotations begin in the first semester of the program and continue throughout. Each core nursing course has a clinical component whereby students are placed in a clinical environment and engage in learning experiences in which they provide direct care to patients under the close supervision of a nursing professional. Our main objective is the careful selection of community agencies whose clinical opportunities meet the goals of the nursing program. The program offers students the advantage of a variety of clinical settings and nursing environments in which to complete the required clinical hours. Most testing is done is a computer laboratory to resemble the style and format of the national licensing examination. Opportunities exist for licensed practical nurses with current unencumbered licenses to enter the Associate Degree Nursing Program with advanced standing. Interested applicants should contact the assistant director of nursing. Nursing assistants, sometimes called nurse aides, are important members of the healthcare team. 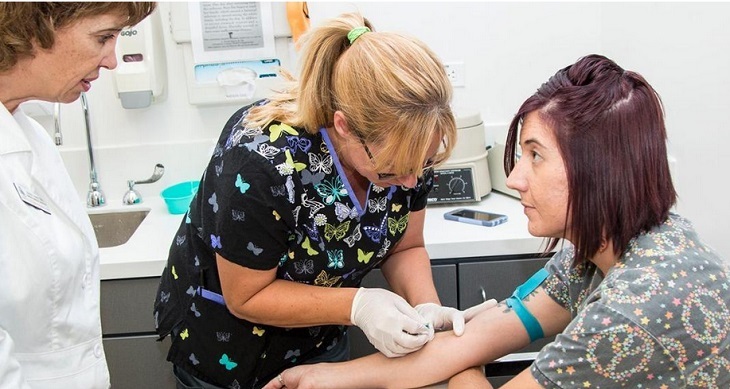 A certified nursing assistant (CNA) is an individual who has successfully completed a state board approved training program and has passed the national licensing examination. As a nursing assistant, you will work under the supervision of nurses and other licensed medical professionals to provide direct care to patients in hospitals, clinics, long-term care centers, community health centers, and home health services. Responsibilities include maintaining patient hygiene, supporting doctors and nurses in medical procedures and technical treatments, patient charting, and explaining care instructions to patients. Nursing assistants provide individualized attention to patients and are the primary caregivers in meeting the day to day needs of patients. They play a significant role in relaying information about the condition of patients to other members of the healthcare team since they are the one having constant contact with patients. This is an estimated budget of expenses you may incur at CWC and represents the maximum amount of student aid funding you may receive. This is not an actual bill. The following budget amounts are based on full-time (12+ credits) for the full year. The amount you might actually spend (except for tuition, fees, and books) may vary.